This tiny sprout is destined to become a broccoli plant. Last year I signed up for the Old Farmer’s Almanac personal planting reminders. A few weeks ago the only seeds they recommended starting indoors were onions, but I plan to plant onion starters this year. By February 18 the indoor seed planting list grew to about twenty items, among them were broccoli and lettuce, both of which I plan to put in my west wing garden this year. I’m proud to say that I have already purchased all of my seeds for this year’s garden. So I went in to my seed box and put some lettuce and broccoli seeds in the kitchen window just two days ago. 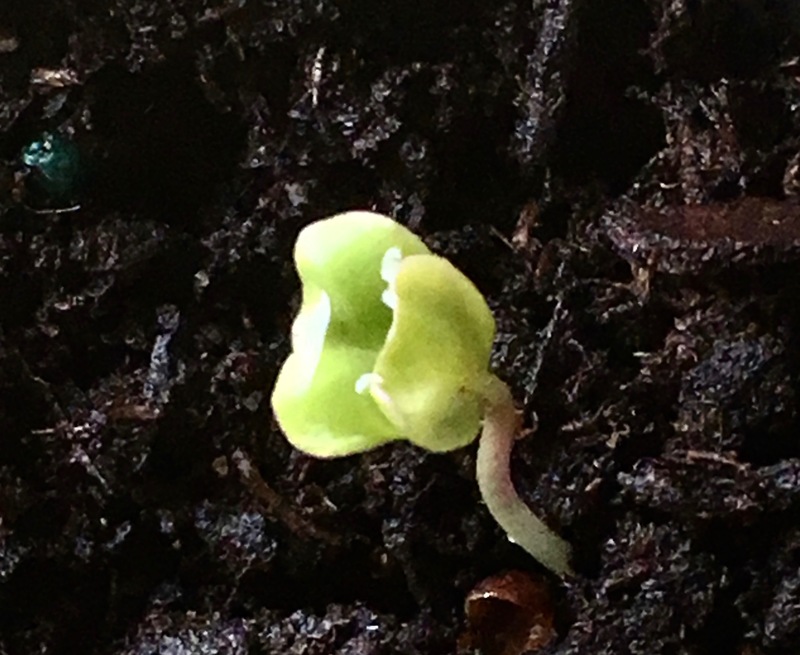 The seed packet said the broccoli would germinate in 10-14 days, so I was surprised to see a few broccoli sprouts already this morning. But it seems that spring is anxious to come early this year. Everywhere there are bulbs coming up. The blueberry bushes are blossoming, and our ornamental pear trees are already in full bloom all around the house. Every year I get excited to see new growth, like I’ve never experienced Spring before, but to me the most amazing thing is how such a tiny little sprout can become a protein packed plant that can provide enough broccoli for a family of five to share and thrive on.